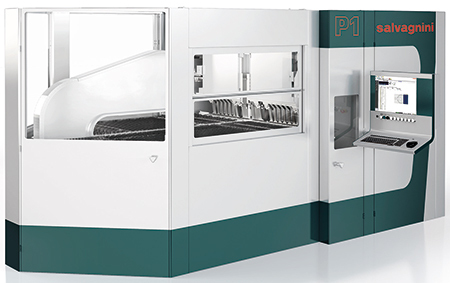 Salvagnini showcased its all-electric P1 panel bender (pictured), newly redesigned for flexible kit and single-piece part production. This includes automatic blankholder setup, as well as universal tooling and programming software for 2D drawings and for 3D models that adds built-in skill and craftsmanship to the forming process. Also spied at the Salvagnii booth: its L3-30 fiber-laser cutting machine now available with a 6-kW resonator and equipped with a new air-cooled cutting head with adjustable optics for cutting both thin and thick materials. A new collimator enables quick adjustment for cutting materials of different thicknesses. See also: Salvagnini America, Inc.